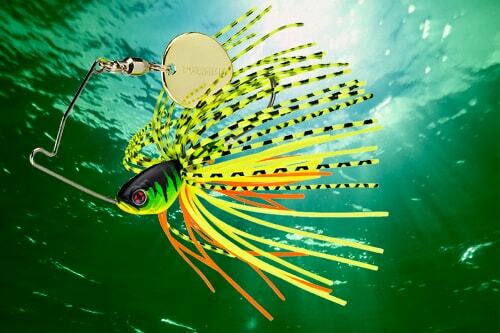 The spinnerbait are real fish catching machines. Such 4×4 spinners, they can quickly explore smoothly heavy covered areas. Their multitude of visual and vibration signals quickly attract any predators. With crankbaits, they are part of the basic arsenal of power fisherman but can also be used accurately on small spots, like a rubber jig. 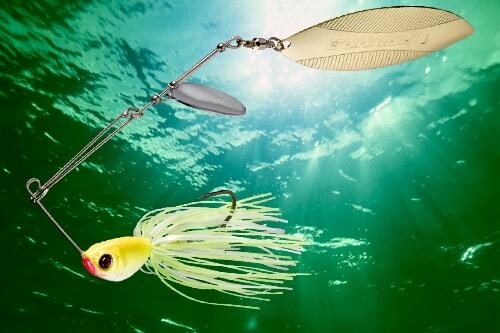 In terms of metal lures, versatility has a name: spinnerbait! Our spinnerbaits are meticulously made, as proven by hand tied high end quality silicone skirt. Their hook is from Owner brand and high grade ball bearing swivel for perfect rotation of the blades. The beautiful leaded perfect head design add a close to reality finish. All gives you a serious advantage to the waterfront. Choose a cast Sakura rod in of Medium (M) to H (Heavy) power for very large lures. Opt for a casting reel Calix 55L or 64-R and a 0.31 to 0,38 mm Aya mono and you can track confidently pike, perch and black bass. This continued recovery is the basis of power fishing with a spinnerbait. 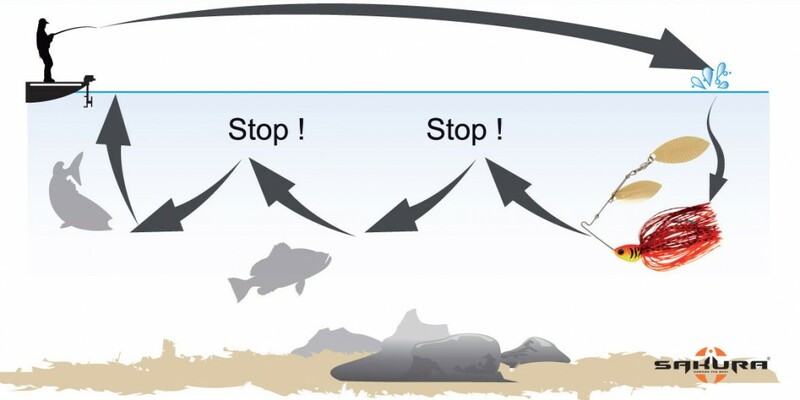 Ideal to make fish react when posted between the surface and two to four meters deep, it excels in medium or fast recovery. Variant of “Steady Retrieve”, this animation alternates between phases of recovery and breaks. 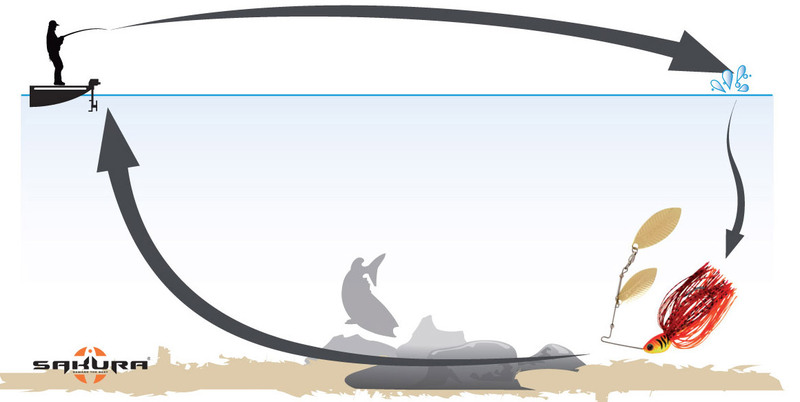 Made of medium-slow speed, “Yo -Yo retrieve” allows fishing a little hollow to decide hanging carnivores less active. The “Slow Rolling” is a slow recovery and continuous contact with the bottom and structure. 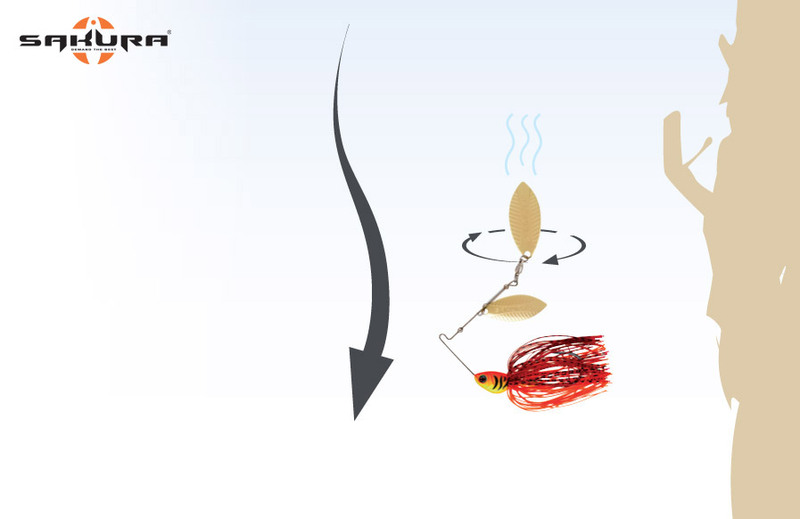 Baitcasting reels with slow to average ratios of 5.5: 1 to 6.2: 1 are suitable for this technique of animation. Very special, the animation named “Falling” is the ideal presentation for vertical structures: cliffs, dead trees, pontoons, etc. 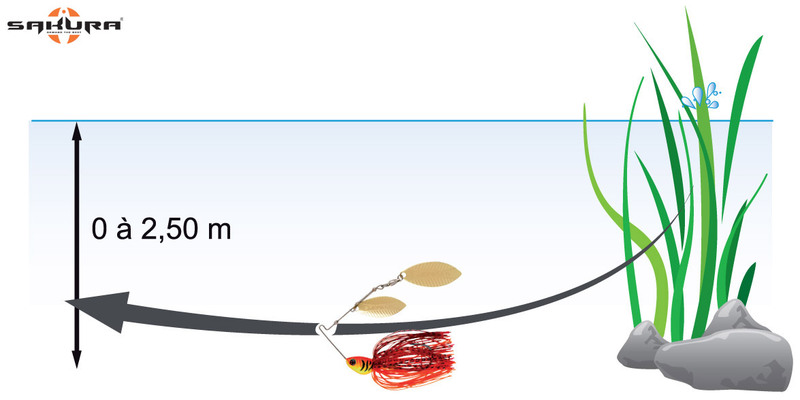 The free-fall must be controlled by a semi-tight line for keeping the lure in the stike zone and set the hooks properly. 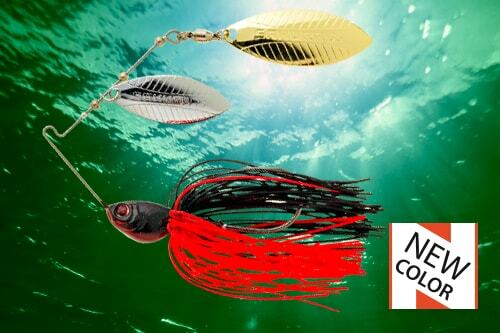 Recommended spinnerbait: Monarc Sakura 17.7 g and 21 g Monsoon.